The HOPLIT C titanium helmet for patrolmen: titanium helmets by ULBRICHTS Protection are part of the new anti-terrorist equipment of the Hessian police. Schwanenstadt (Austria) / Wiesbaden – ULBRICHTS Protection has delivered a total of 850 titanium helmets to the Hessian police. The HOPLIT C ballistic protective helmets have the same construction as the ZENTURIO TSO S, are certified in accordance with VPAM 3 or VPAM 4, and are part of the anti-terrorist equipment presented by the Hessian Ministry of the Interior in Wiesbaden on 22.04.2016. 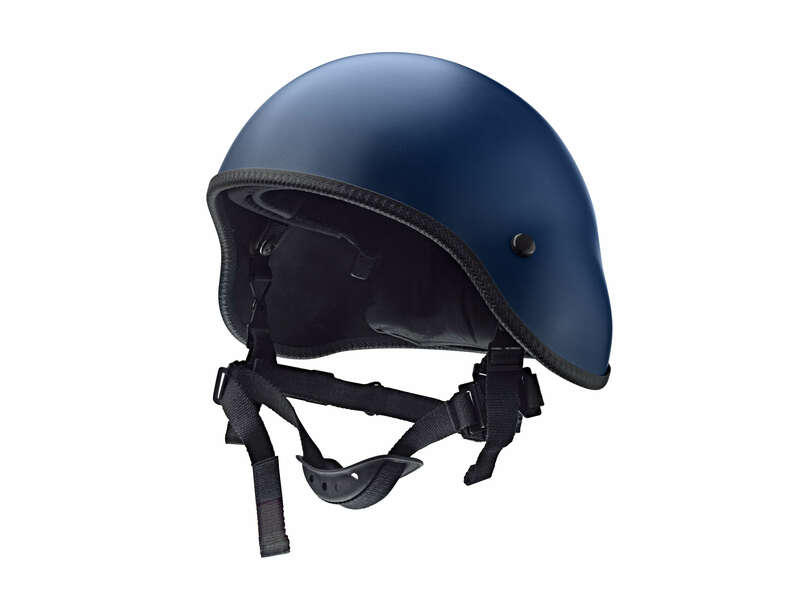 The HOPLIT helmet series was specially developed for the requirements of patrolmen. Due to their large protected area, these titanium helmets offer effective protection against direct bullet fire, for example from submachine guns. In addition, titanium optimally absorbs the residual energy which is transferred when the projectile is stopped, therefore preventing the helmet wearer suffering from a dangerous trauma by the material folding inwards. All ULBRICHTS titanium helmets are certified according to the “Technische Richtlinie (TR) – Gesamtsystem Ballistischer Schutzhelm 05/2010” of the German Police. In addition, the HOPLIT protects against explosions, splinters, bites and punches, as well as heat and chemicals. The helmet interior can be adjusted for size using a rotary knob and can thus be set to different head sizes when changing users in just a few seconds. All HOPLIT models are available optionally as hybrid (titanium aramid composite) for even better splinter protection and with a ballistic visor. The HOPLIT offers patrol officers the same level of protection that until a few years ago was reserved for special forces. The improved protective equipment is Hesse’s reaction to the insights gained from the recent terrorist attacks in France and Belgium. The intervention teams of the Hessian police will be equipped with a total of 850 “protection packages” which, in addition to ULBRICHTS titanium helmets, include upper body plate carrier systems, anti-ballistic glasses and first aid kits. According to their own statements, those responsible rely on an “optimal combination of protection and flexibility”. ULBRICHTS Protection from Schwanenstadt (Austria), a division of ULBRICHTS Witwe GmbH, manufactures ballistic helmets made from titanium and titanium aramid (hybrid). The company’s international clientele includes special police forces, police units and military personnel. ULBRICHTS Protection began specialising in providing ballistic protection to police forces more than 20 years ago and uses the material titanium. Decades of research and development, various patents and special manufacturing processes underpin the leading position of the Austrians in this field. The titanium helmets of the HOPLIT product line were developed as a first-response helmet system especially for patrolmen. 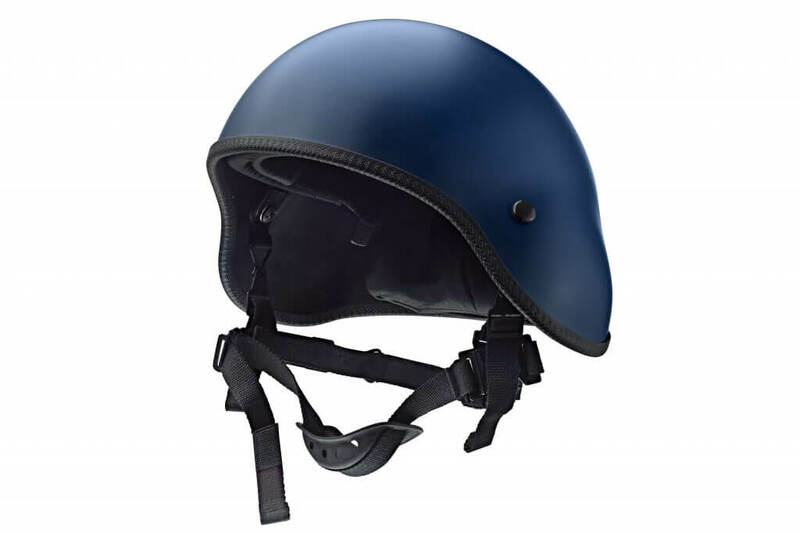 All ULBRICHTS helmets are certified in accordance with the “Technische Richtlinie (TR) – Gesamtsystem Ballistischer Schutzhelm 05/2010” of the German Police.